We just got back from one of the most amazing family vacations. 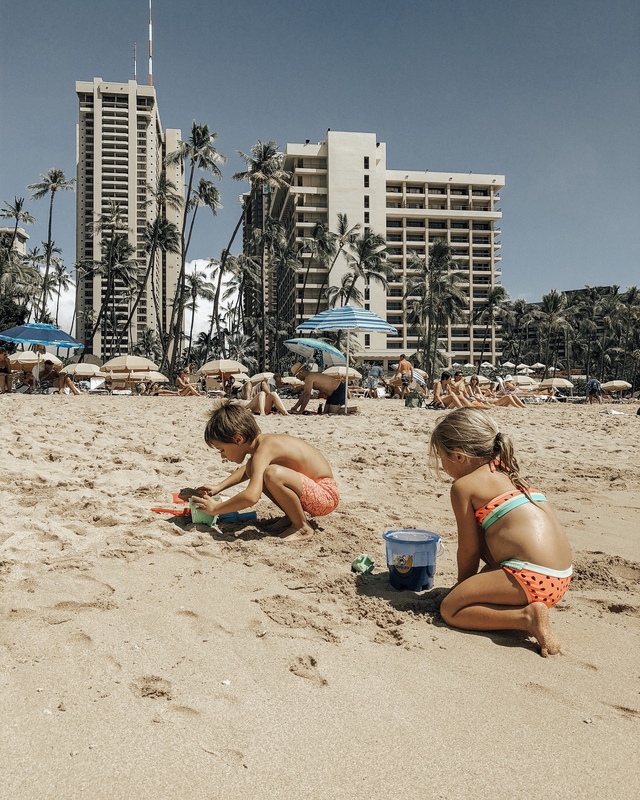 Hawaii is one of our favorite vacation destinations and this year we went to Waikiki, Honolulu and it did not disappoint. 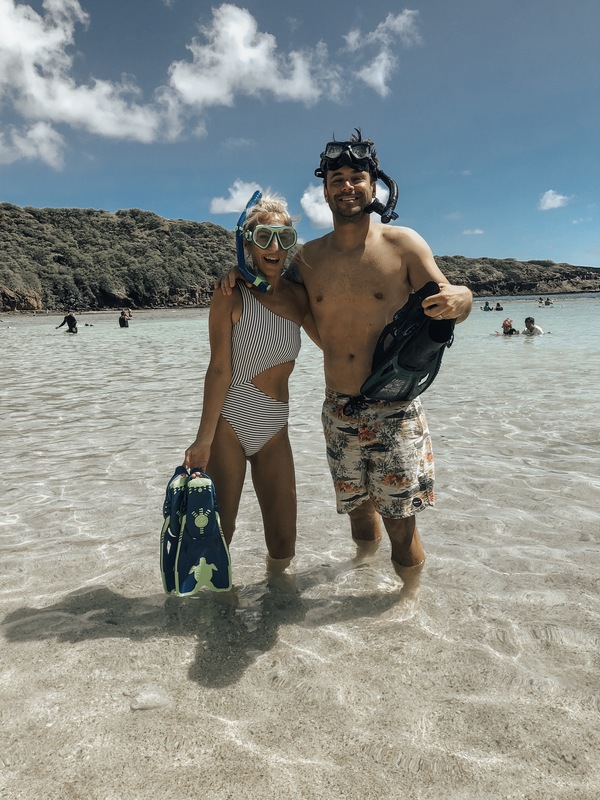 We stayed for an entire week and got plenty of beach time in, had some of the best adventures and got to our Hawaiian roots. Yep that's right, you might not know but I am actually 1/4 Hawaiian and I even have the official Hawaiian registration card to prove it. 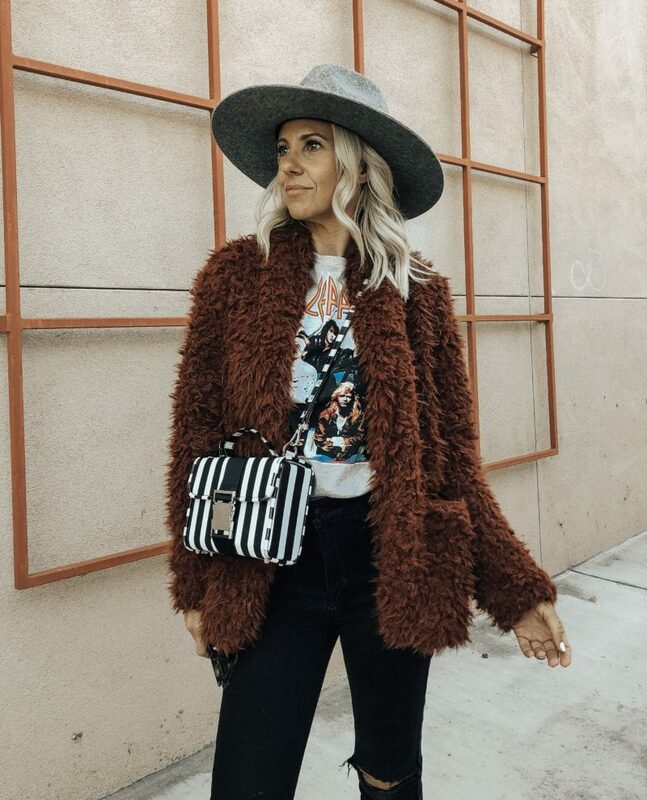 I just wanted to share with you some where we stayed, what our favorite activities were and of course my vacation style. We stayed at the Hilton Hawaiian Village which is in the heart of Waikiki and walking distance to tons of great restaurants and activities. The hotel had several different swimming pools (which included 4 water slides), was located next to a lagoon and was also directly on the beach. The water activities were endless. Our suite included a full kitchen and living room area so of course we stocked up on food for breakfast and lunches so we could go out to a nice dinner each night. The hotel was also a short walk to several great restaurants, Ala Moana shopping center and the International Market place. There was also daily activities you could sign up for at the hotel such as hula classes, ukulele lessons, yoga and much more. First on our list of activities was Hanama Bay. 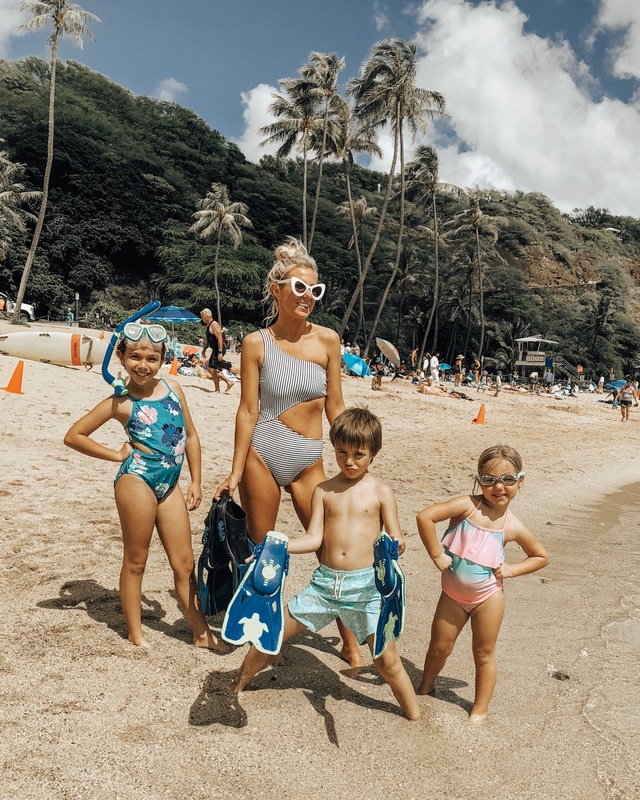 This is the absolute best place on the island to go snorkeling and have a great adventure on the beach with the whole family. The kids absolutely loved seeing all the tropical fish and they even got me out there snorkeling. I would recommend bringing your own snorkeling gear but you can rent some as well. We rented a car to get there but you can also purchase tours which include transportation. We spend several days just hanging out at the beach near our hotel, snorkeling in the lagoon and going down the water slides. Yep the kids even got me to do that too! One day we rented a stand up paddle board to take around the lagoon and the kids loved it. You can also rent kayaks, surfboards and tons of other water toys. 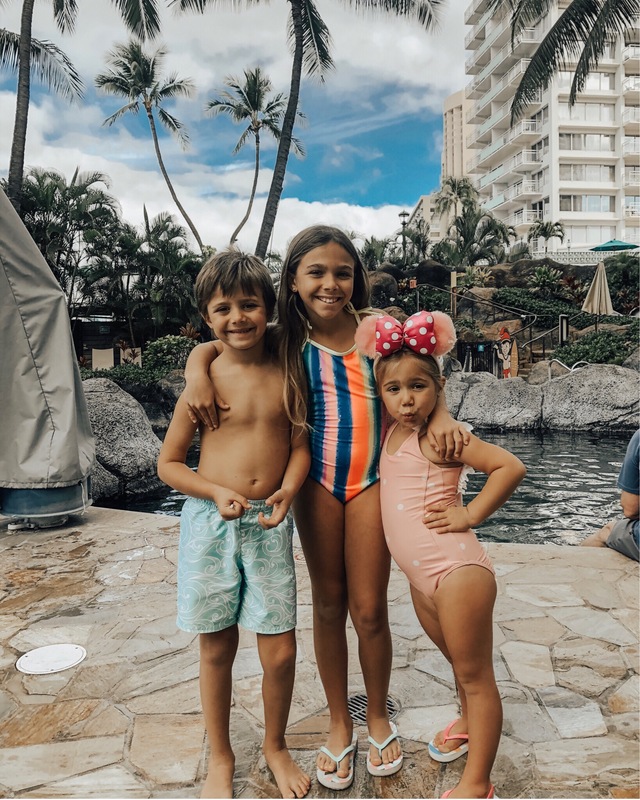 Throughout the week we did several activities either at the hotel or at the Royal Hawaiian Center such as Hula lessons, Lei making, Ukulele lessons and much more. All the activities were free and the kids loved it. We even got a Ukulele for Hendrix so he could keep playing at home. And Lulu of course was a natural at the Hula lessons. Rod and I even got a date night in and we were able to do a sunset cruise. It started to rain a little bit at the beginning but then cleared up. It was nice hanging out just the two of us and taking in the beautiful sights of Waikiki. We also make it to the North Shore to visit the Polynesian Culture Center. Of course on the way there we stopped to pick up traditional Hawaiian shave ice and it was amazing. At the Culture Center the kids got to go fishing, throw spears, make a traditional hawaiian necklace and try to make a fire. We also watched a man climb a tree to get a coconut and Hendrix got to drink it. Rod even got on stage for one of the little shows and got us all laughing as he banged on the drums and did a crazy dance. At the end of the night we go to watch an entire Luau show with fire throwing and amazing dancing. Of course we went out to dinner most nights and ended up at Cheeseburger in Paradise twice. Not only were the burgers good but they had a burger challenge that we just couldn't say no to. We decided to take on the challenge as a family but couldn't quite finish it. It was sure fun trying though. On the last day we decided to hike the Manoa Falls and I'm so glad we did. It was a pretty easy hike for all of us including little Blondie and the views were absolutely amazing. I can't recommend this hike enough. I've never seen so much green and it felt like I was walking through the Amazon or something. Truly amazing. Another family adventure and amazing vacation for the books! Thanks for stopping by! Any amazing family vacations you've been on? If so I'd love to hear about it in the comments section below!